"Fauna" is designed to draw the reader into the sense of fantasy and magick, acting as a compendium of information pertaining to long forgotten creatures. 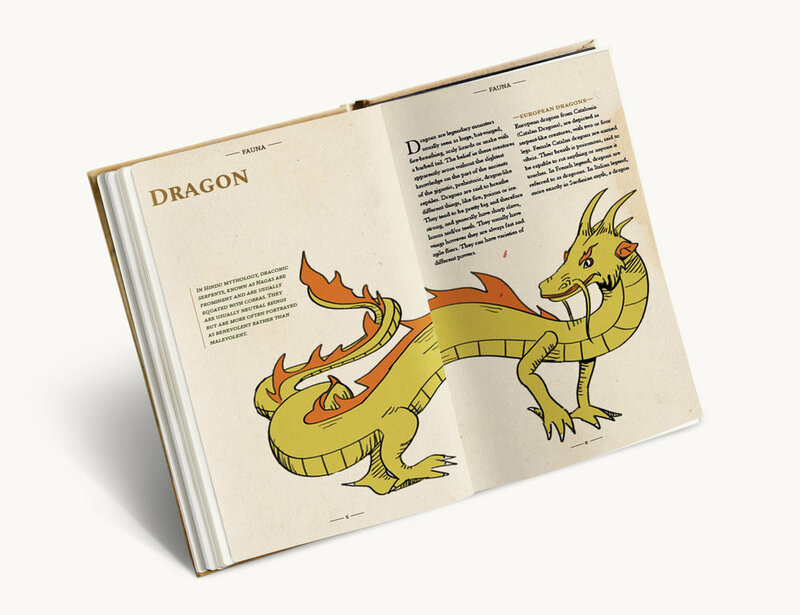 With the illustrative style and serif typefaces, taking inspiration from other books such as Lord of the Rings, Dungeons and Dragons rule books and other classic fantasy literature pieces, it encourages a sense of familiarity while also offering a unique way of presenting information about mythical beings. To see my process for this project, click here!